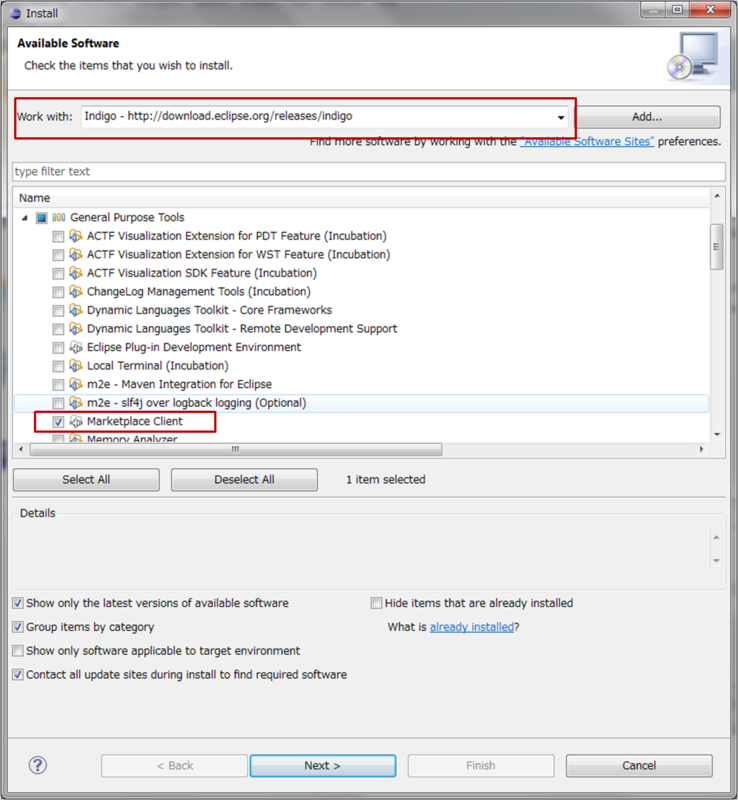 How to install marketplace on Eclipse Indigo? By default, market place in Eclipse Indigo Classic Version is not available. The steps below will help you install it. Go to “Help”, then select “Install New Software…”. On the category list, expand the “General Purpose Tools”, select “Marketplace Client” and follow the installation procedure. After finish installation, restart Eclipse and you can find “Eclipse Marketplace…” under the “Help” menu. Done. Below the screenshot of the “Install New Software” dialog box.